A precision air conditioning unit specially designed for use in critical applications for precision temperature and humidity control. The unit operates continuously with high reliability and stability in places like telecommunication rooms, computer rooms, data centers, medical testing rooms, scientific laboratories, product manufacturing areas and other facilities where the need for precise control of room temperature and humidity is critical. A small to mid-size precision air conditioning unit designed for use in critical applications for small to mid-size switch rooms for telecommunication, microwave and satellite stations, mobile telecommunication centers, medical testing rooms, scientific laboratories, precision product manufacturing areas and other facilities where the need for precise control of room temperature and relative humidity is essential. A precision temperature and humidity control solution in middle to large sized telecommunication exchange rooms, computer rooms, medical equipment rooms and large data centers. In order to accommodate large and variable heat load and cooling requirement, OPTIMA provides adjustable temperature and humidity control with high reliability, stability, and energy efficiency. 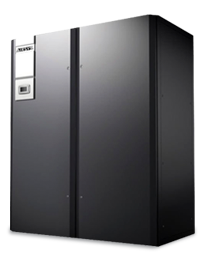 The OPTIMA unit is ideal for big data centers with various electronic equipment. The AIRSYS Data Center and ICT Cooling range includes reliable and optimum cooling solutions for data centers, medical equipment, high precision labs, etc. Our products deliver feature rich, new technological solutions and offer maximum value for critical environments with precisely controlled room temperature and relative humidity, suitable for a large working temperature range (-20oC~45oC), 24×365, working continuously.